In the fall of 2009, I had an idea. I'd been leading middle school students on year-end river expeditions – watching their curious wonder, fierce determination, and genuine camaraderie produce more immediate growth than I’d ever been able to generate in my classroom. Patience is not my strong suit – and I didn’t want to keep waiting until the last week of each school year to share the magic that happens in awe-inspiring canyons with the kids I was teaching. I dreamed of creating a youth development program centered around wilderness river expeditions. I knew I had the passion, and felt it grow every time I reminisced with the kids I had already taken out. 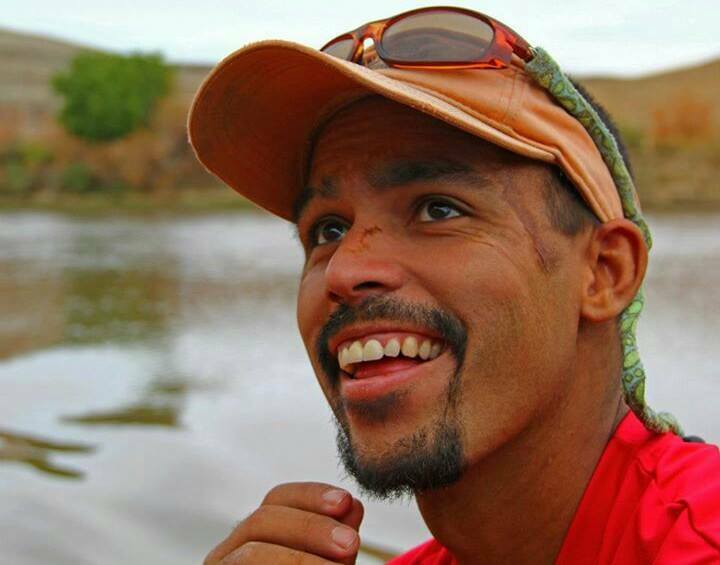 I knew I had the tools – a unique skill set that developed when an Eagle Scout became a middle school science teacher who had previously served as the program coordinator for a youth outdoor empowerment charity after taking some time off from teaching to guide river trips in Alaska. I also knew I couldn’t do it alone. It became clear in our first conversation that Arlo - co-owner of Sheri Griffith River Expeditions - wasn’t just politely listening to my dream. He and I shared a passion for nurturing the next generation of outdoor enthusiasts through river exploration, and he offered to do all he could to convert my vision into action. Arlo held true to that promise, and for several years we collaborated about how to make the greatest impact on as many kids as we could. I looked forward to seeing Arlo briefly in Moab before flying into the canyon each time I lead a group he was making possible, and longed for a time when our busy schedules might allow us to lead a trip together. Undoubtedly, there would be a powerful synergy there. In the summer of 2010, Arlo wasn’t feeling well. What he initially perceived as a bad case of the flu led to further testing, and a diagnosis of stage 3 Hodgkins Lymphoma. The supportive dreamer who was used to navigating some of the most challenging whitewater in North America would spend the next three and a half years navigating challenges that no one should be forced to endure. Much like I have always imagined Arlo at the helm of his raft, he did so with bravery, optimism, and foresight – keeping his crew informed of victories, setbacks, and strategy via his blog all along. If anyone could beat cancer, I felt Arlo could – and would. Like many of you reading this, I remember too well the feelings of emptiness, disbelief, and sadness that filled me as the following post came across my Facebook feed. Arlo Tejada physically left this world 2 years ago - on December 5th, 2014 - but his spirit lives on in me. I am a better river guide, teacher, father, and friend thanks to the lessons that Arlo made available for me to learn and share with others on GOALS river programs. More importantly, Arlo’s spirit also lives on in the the 700+ kids to whom he has unknowingly given the priceless gifts of outward and inward discovery. on the 2nd anniversary of ARLo's passing, I present with pride the "oARLOck award". Since Arlo’s passing, I have struggled to find a way to honor him through the work he made possible at GOALS. A simple scholarship fund seemed too lackluster for Arlo – this needed to be something more. Picture if you can a fully loaded expedition raft preparing to embark on a long journey. It contains everything needed for its’ adventurers to be successful, and is heavy with gear, supplies, and the promise of what might be discovered downstream. Laying on shore next to this loaded raft are the finest oars available. They’re built using a combination of wood and composite materials which have been thoughtfully designed to transfer power from the oarsman to the water in a way that, well...converts vision into action. Before this can happen, though, something must connect the raft to its’ oars. That something is a small piece of metal – called the "oarlock". While it may seem insignificant at first glance, not a single oar stroke would be possible without it. He connected the promise of what might exist downstream for GOALS with the logistical components necessary to discover it. In doing so, he has created many young leaders who are more confident and insightful that either of us could have imagined. They recognize how GOALS programs have influenced their connection to others, to themselves, and to the wild places that remain on our planet. It is now my great honor to award a very select few of these exemplary GOALS graduates each year with the OARLOCK award. These deserving kids will get a once-in-a-lifetime opportunity during our winter to explore rivers and cultures in other parts of the world, studying the way these rivers are utilized, managed, and protected in comparison to what they are familiar with in the western US. They’ll then start summer in a guide school that will provide the skills they need to row their own boat on GOALS programs, where they'll mentor younger GOALS participants – leading by example and sharing the knowledge and passion that has developed along their OARLOCK journey. OARLOCK award winners embody traits that Arlo would respect – they’re strong, wise, compassionate leaders. They are ideal role models for young people in GOALS programs who, in these times more than ever before, need to be taught that kindness and compassion are admirable traits; that strength and vulnerability are not antonyms; that preserving wild places must remain a priority, and that we all have more power to impact people around us than we realize. Young Arlo - with siblings Emma and Obe and father Jose - falling in love with the river. Thank you for taking the time to read about this exciting development – a new chapter in the development of GOALS and a sensational opportunity for our best and brightest to extend the reach of our program offerings. While I never got a chance to lead that trip with Arlo, I'm certain that he’s been with me through every rewarding river mile he made possible. Through OARLOCK, his legacy will live on, and his passion for nurturing that next generation of sagebrush-sniffers, shooting-star-searchers, and big-wave-punchers will be carried on by the same kids he helped fall in love with the river in the first place.